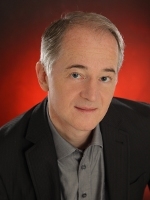 Dr. Gerhard Kranner is the founder and managing director of Viscovery (formerly Eudaptics). Since 1994, he has been responsible for the management, the financial relationships and the strategic direction of the Company. The fundamental concepts behind the Viscovery software suite as well as numerous technological innovations have originated from him, such as the SOM-Ward clustering procedure and the Local SOM Prediction method. Dr. Kranner has a background as theoretical physicist and obtained his PhD from the Vienna University of Technology, with a thesis on quantum field theory.